10 Hair Transplant Myths which should be overlooked! Hair Transplant is amongst the most consistently successful and life-changing of all the hair loss therapies.. Hair Transplant is amongst the most consistently successful and life-changing of all the hair loss therapies. Hair Transplants nowadays look natural performed with great experience and skill. But there are certain myths which are infrequently talked about when it comes to hair transplants. These can however be overlooked. The results are instant - Some people believe that once the procedure is done, the hair will grow once again. This is a myth as it takes time for the final outcome to be achieved. Hair growth is gradual and you need to be realistic and patient about the process. Large number of grafts do not get the blood supply they need - Patients who have severe hair loss need a large number of hair grafts. Some people believe that there is not enough blood supply and the slows the growth of the new hair. The fact is, the scalp has enough blood supply for each strand at any given time as suggested by the hair treatment clinics. Hair Fall - After getting the hair transplant, you may notice that your hair starts to fall again and you relive the horror you wanted to escape from. But this is normal and part of the process of growing new hair. The hair growth will regain its normal growth cycle and turn permanent. Donor Hair from Another Donor - For people who have completely gone bald, there is a belief that one can use the hair of another person. But the better chance is to buy an all natural wig. However, it is possible to use the hair follicles of another person, but it will be useless as the body will reject something that did not come from it. Hair transplant is always an option for treating hair loss - It’s a myth that a hair transplant is an option for all individual with hair loss. Some patients may be too young, some may have medical issues and some have a kind of hair loss which will not be successful if a hair transplant is performed. Washing the hair after treatment may affect the growth - Washing your hair does not intervene with the growth or other factors after the hair treatment. You should in fact keep the area clean in order to keep the treated area clean so that it does not get infected. Taking medicines throughout the life is essential to avoid any risk - The truth is you do not have to take medicines throughout the life. The transplanted hair are not prone to the activities of DHT hormones which triggers hair fall. But you might lose hair at the crown. This happens when you go for the treatment at a premature stage. Hair Transplantshould be done at initial stage to get maximum benefit - It is extremely difficult to predict the extent of your hair loss and to decide if it requires any treatment. In the initial stages, even the hair transplant clinics won’t tell you if you need hair restoration surgery or not. It’s more wise to go to the physician when the hair loss gets stable. Surgery is painful - Many people believe that hair transplant is a painful surgery. However, the truth is that you will suffer from almost no pain during the treatment after its completion. Moreover, you can get back to the normal life within a couple of days. Hair Transplant affects the brain functioning - Hair restoration involves only the skin of your scalp. It does not go below the skin and does not come in contact with any part of the brain. Hence, it cannot cause any damage to the brain. 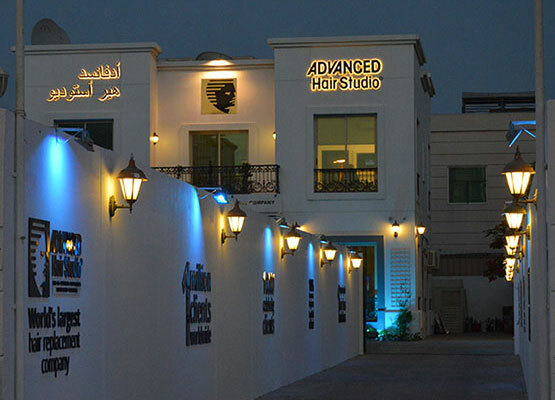 These myths listed by Advanced Hair Studio presents a new outlook towards hair transplants. Have more questions? Contact us now to schedule your consultant with the best hair transplant clinic.